Monsoon axis slides South and is running thru Rajasthan, North MP and Jharkhand...Hence NW winds prevalent North of the axis. Anti-Cyclone at 850 hpa takes grip over Sindh, and expected to widen its grip Westwards next 2 days. Hastens up Monsoon Withdrawal ..? Lets wait and see....meanwhile, this will surely "rev" up the Gujarat and Interior Maharashtra thunderstorms..on schedule for Friday as mentioned below in Yesterday's post..
Abhijit has put up pics of Thundery Developments in Pune..See Inter Active Page..
Parameters on the Wednesday evening chart coincide with the withdrawal of the SW Monsoon from complete Sindh region of Pakistan. Setting the tone, the SWM is likely to retreat from rest of Pakistan and Western Rajasthan in the next 2 days, that is by Saturday, 22nd, evening. Heavy thundershowers on the increase in all regions of interior Maharastra, i.e. Madhya Maharashtra, Marathwada and Vidharbha. Pune, Satara, Sangli, Nasik and ghat staions can possibly get thundershowers Friday. Nagpur can get convective rains. N.I.Karnataka will also get isolated thundershowers in some pockets. Northern AP can get thundershowers, with likely rain in Hyderabad. Very light rainfall, with thunder, likely in few districts of Saurashtra. Surat and Bharuch districts can get a stray thundershower on Friday evening. NW India, and Delhi NCR will be clear and dry, with days reaching 34c, and night around 24c. SW Monsoon has not withdrawn from NCR and may retreat middle of next week. Thursday: Warm Day, with day temperature touching 32c. Night will be 25c on Thursday morning. Sunny, getting cloudy post noon. Thunder clouds will be forming around 50-70 kms in SE/E/Ne of Mumbai. Friday: Early morning clouds may precipitate light showers in some parts. Clearing soon by morning itself. Hot day at 32/33c, with thunderclouds forming about 40-50 kms SE/E/NE of Mumbai. Thunderstorm in townships in these areas. A thundercell may drift towards Mumbai bringing some brief showers in some Northern/Eastern suburbs. Thursday: Warm day at 30c, and nights around 19/20c. Thursday will see thundery developments by evening. Friday evening may see a thundershower in some parts. @ Rajesh Sir. Yes I too expecting thunderstorm rain from 20 onwards till 23 Sept intially for same region which I mentioned on blog on Monday itself. Today Badlapur had localized spell from East side around 5pm for 30mins period which produced 6mm rain here. moderate rain has started here in vasai . Neel: Thanks for the feedback Neel. I think its just the Saturday forecast happening on Friday..keep posting from Vasai. yes rajesh sir, i too felt the same way , ur saturday's forecast happened to take place a day in advance. well it has helped to bring the humidity level a bit low. Now on my way to Pune for Ganapati festival at my cousin's place. Will give an Pune update and will also try to provide Badlapur update as will be touch with friends. Juhu recieved moderate intensity rains from 3:30 AM till 5:00 AM today. Right now too the weather is overcast and gloomy. Yesterday Badlapur had one brief spell in evening then today early morning period was foggy then black cloudy arrived from west and fog got cleared up but just drops fallen. So overall in past 24hrs, 7mm rain measured here. (i.e from yesterday 8.30am to today 8.30am on 20/09/2012). @ NT. Santacruz records 49mm & Colaba records 4mm today ending at 8.30am. Now at Karjat totally dry with foggy and sunny and muggy and thunder heads are seen. Now at Lonavala. Bor Ghat section from Karjat upto Khandala/Lonavala also completely dry with sunny & foggy conditions and black clouds in west horizon & thundery heads at eastern horizon. Some snaps on it Vagaries FB. Now in Pune city . Sunny here. Not much organized clouding. Disperse white cloudy in patches in all directions . Snaps on vagaries FB. Hot and sunny here in Ghaziabad,nothing new in this region from now onwards till the cold sets in. But sky not picking up the dark blue colour ..a deep blue sky with cloud outline well defined signifies faster thundershowers..
the previous comment was for mumbai..sorry. Miral: is that report from Cherrapunji ? Anonymous- sorry - we cannot leave "desertification process in south interior peninsular India" to luck and escape. It will just backfire. This is 3rd year of consequtive drought. My take is (a)Change in monsoon currents (SWM/weak NEM) they fail to reach interiors - climate change(b)Mans continous abuse of nature - removing trees/mining in catchment areas - removal of lakes (c)failure of monsoon axis/uacs over south india/sri lanka. (d) Natures course balancing is makeing Rajisthan/Guj/Central India more wet with rains and probably decreasing over south interior peninsular India. Let is see what weather have to conclude over this - if we ignore next year will be same - cause eviction of humans/ITs/ITEs. Already tension is brewing over Cauvery between KAR/TN. sorry I meant "Let is see what expert weathermen have to conclude over this"
clouds moving fom east -south east dierction!! !the east direction is purple dark in color!!! mumbai is likely to experience thunderstorm on 26th n 27th of september till then it will be hit n miss situation. Badlapur had light showers just now for 20mins.. Might be around 3mm noted. @Abhijit, thanks for the info on Santacruz, I was expecting the rain to be around 25 - 30 mms, but 49 mms meant the rain was heavier than I thought. @ NT. Bangalore might get an thunder activity from 25 sept and beyond also. As Oct is NEM arrival there. But this year overall interior regions are having less rainfall. So have to wait & watch weather patterns. Even Pune also this year got very less rains 353mm till now. Actually Pune easily get around 700mm. After 11 days of consecutive above normal rainfall, all India, yesterday (ending 8.30am today) received below normal rainfall of only 4.3mm. We are now at the lowest reference vis a vis normal/averages which falls around 20th September. From here onwards the averages again move towards around 6mm till about 26/27th september before finally petering out thereafter.. The all India deficit is at 5%. Delhi's main station safdarjung recorded only 55.2mm of rain in september. wht is the total annual rains delhi has received this monsoon 2012.. so far. Monsoon withdrawaing soon from rajasthan..and i see the axis slipping down south today...hint of speedy withdrawal ? dont know..we'll wait..and go region by region for withdrwal..
even another parameter is "slipping". The 200 hpa jet stream..
miral: very interesting..are you based there ? You can always send pics via FB "vagaries group". IMD bulletin mentions of an UAC in East Central Arabian Sea off Maharashtra - Karnataka coasts. Ohh.. Very fast withdrawal means whether Monsoon leaving Mumbai- Pune region around 25 September ! And even after withdrawal can we in North Konkan can get thundery localized rain spell due to moisture remant ! Atleast till 10 october period ! abhijit: Mumbai by 25th ? Not sooo fast abhijit !Mumbai /Pune should withdraw around 10th oct , i think..
Wow. 10 oct then it will be very nice .. Even after Badlapur records 2900mm rains till now for this season then also still want more rains.. As myself loves rains very much.. The 19% for this year should fall by month end. Even otherwise, if a plot a graph you will find it steeply increasing. So if we agree that there had been deforestation, then these figures clearly prove there is no correlation between trees and rainfall. If there were, I am sure Rajesh would have factored in into his forecast by now. This does not mean that trees are no use. Far from it. What it does say is that linking trees and rainfalls are just stretching this connection to the hilt! Delhi has so far recorded 59cm of rain in which 544.3mm has fallen from june till september. Yesterday udaipur received 100mm of rain,dausa 50mm.Monsoon still active in some parts of Rajasthan. @ Rajesh Sir. From yesterday I am watching Mumbai suburbs in island city are having early morning heavy rains from Westerly side.. But mainland suburbs right beyond Mumbra parsik tunnel to Dombivili/Badlapur/Karjat belt are totally dry with foggy conditions and having Easterly clouds movement more. So Mumbai having westerly clouds and mainland having easterly cloud movement which prouduce any spell only after evening time ! Here Pune at present having overcast conditions and bit foggy also and cloud movement very slow from east direction . Yesterday lightening and thundering rains lashed many parts of Solapur, Parbhani & Osmanabad districts. At moment Pune is fully overcast and having spray showers. Here clouds so stationery or at one layer so can't identify from which directions clouds are coming !! @ Anonymous. Louis wadi near wagle estate has private weather station which website name is envirocon.in. It is showing 31mm rain for Thane from 00am till 10am today. srilanka,kerala,South interior karnatka, western tamilnadu received less rainfall during this current SW monsoon period. one of the reason floated is "heavy south westerly wind taken away the rain clouds from these area's". the lack of thick forests in these area helped in the process of conducting the clouds away. South bangalore with high elevation area with thick forest field helped in blocking the winds and bring rainfall to bangalore during this kind of weather patterns. but severe deforestation of the south bangalore is one among reason . we need blame the heavy winds from arabian sea during this season. 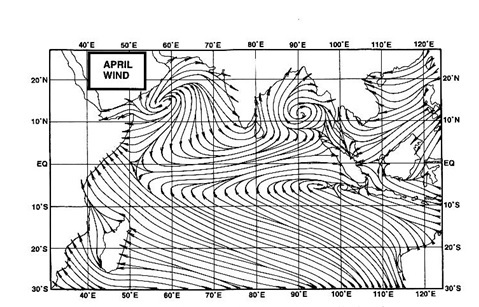 the similar kind of pattern found during the year 2002.
but whenever there is an deflect in SW Monsoon for the south peninsular india ,NE monsoon corrects it. we expect heavy rainfall for the south interior karnataka during this NE Monsoon. for your information South interior karnataka received less rainfall during the last two seasons of the NE monsoon. But interior karnataka got lesser rainfall this year due to lack of system formations and weather fronts, and dislocated positioning of troughs and wind discontinuity lines..again due to natural larger disturbances. Meanwhile Kurukshetra also recorded 1mm of rain in the past 24 hours. Rajesh sir, today moderate rains were experienced in mumbai n thane city but vasai , shahpur, kasara , area were completely dry, what could be the reason and also the clouds were very stationery at one place not moving.some areas had very heavy showers for a brief period. You are correct in your observations that forest do influence in very lesser proportions in weather especially in rainfall. Both SIK / NIK not getting sufficient rainfall in this SWM 2012 is mainly due to less prominence of off shower monsoon trough usually present over AS. Further no monsoon depression is strong enough to penetrate into SIK or NIK. At 850 hPa level the eastern side of western ghat continuously warmer [20 Deg Celsius] and clouding and due to warm air advection convective clouds gave light to moderate rains in those regions. Region to be considered is south-east interior Karnataka - region near Rayalseema, north TN. This hot -spot region comprises of Bangalore,Mysore,Mandya,Kolar,Anantpur,chitoor... If we consider same latitude - average Marathwada rain is 4-5 times Bangalore rain, Vidarbha rain is 5-8 times more than Bangalore rain. SriLanka/TN is facing similar issue of cyclic droughts. Myself sure NEM (higher probability of remaining weak), Bangalore is very likely to face similar drought next year. So what do we conclude out of this? Bangalore isn’t just poised to lose its ‘garden city’ tag, but is alarmingly on its way to desertification, according to experts. A series of studies conducted over a five-year period has substantiated this claim. Speaking to DNA, former head and principal scientist at Indian Council for Agricultural Research, Dr NG Raghu Mohan, who is also a soil and water resource consultant, says Bangalore’s depleting underground water table and shifting seasons are signs of gradual desertification. Earlier, citizens experienced prickly summer heat during March, but now, February seems like summer. The seasons have advanced and the moisture content in the air is almost lost. Dr Mohan has studied the climate and soil of Bangalore over the last decade and says that there is a yardstick to measure desertification. One is when evaporation is more than precipitation. Earlier in Bangalore, evaporation was equal to precipitation, like in Pune, and Bangalore then experienced heavy rainfall. But now, the number of rainy days and quantity of rainfall has reduced. Now, Bangalore receives 540mm and some times 300mm of rainfall, compared to 1000mm it received earlier. Noticeably, vegetation has become scarce in the city and its outskirts. Lakes are vanishing and soil moisture is depleting. Therefore, the number of days the soil can release moisture to the plants has also reduced because of the presence of clay pan. This is presently 50cm below earth’s surface. This restricts soil digging and absorption of moisture. “Desertification is not visible, but it’s occurring gradually. Peripheral areas of Bangalore such as Magadi, Hoskotte and Anekal are also experiencing increased evaporation. Bangalore’s soil is becoming desert-like as rainfall is reducing and summer heat is increasing,” he says. Climate in an area is humid when there is a rainfall of at least 180 days per year, and evaporation is less than precipitation. It’s semi-arid when the number of rainy days is 90; it is arid when there are 60 rainy days and a desert when the number of rainy days is less than 30. Studies have proved that glass and concrete structures are adding to the desertification, as the temperature in their vicinity is always high. No thunder door door tak - infact last night was a starry night! abhijit: Mumbai is getting clouds from east morning and evening last 2 days..answer to your query. Sridhar: You hoping for a "quiet" withdrawal ?